I recently returned from Spain, where I lectured and conducted a workshop in Valencia. Over the next few weeks I’ll be sharing some photos from my trip. 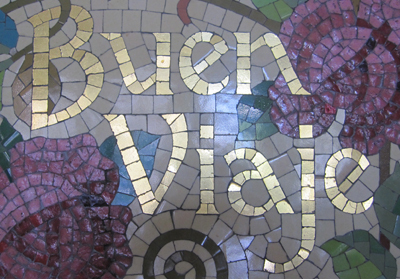 To kick things off, here’s some tasty lil’ mosaic lettering from Estación del Norte in Valencia.